The Single Latex Free PVC Disposable Anesthesia Mask can be used with Disposable resuscitator ( Item No. YM-A011, A012, A013). It is complying with biocompatibility standards,Soft air cushion ensures flexibility,air tightness and low odor . The mask is specially designed to fit comfortable on a patients`face. This device can be used in connection with medical equipment such as anaesthetic apparatus,Ventilators,oxygen machines,hyperbaric oxygen stores,inhaled painless delivery instruments,and emergency breathing apparatus. Depending on requirements, the Disposable Anethesia Mask is available in 6 sizes. 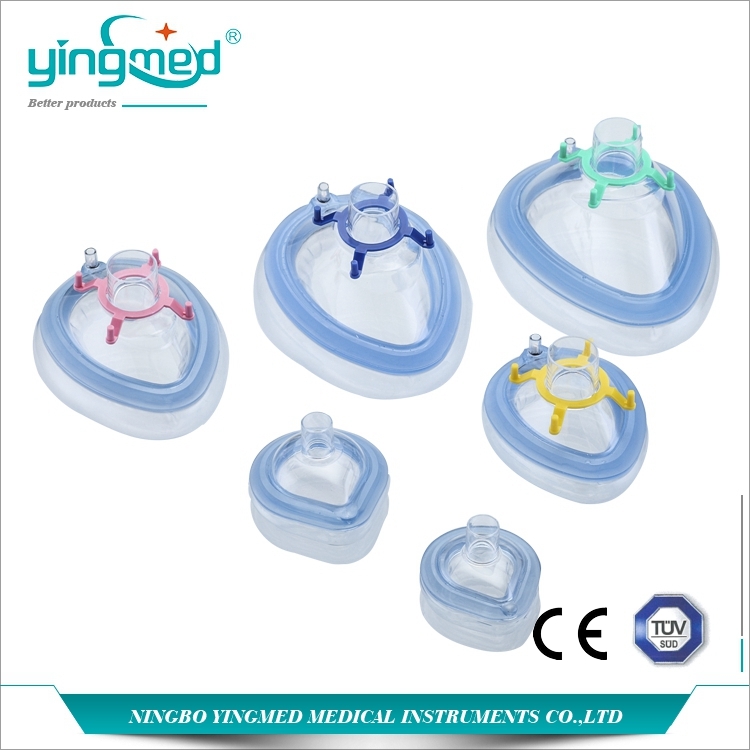 You also can find compatible resuscitator in Yingmed. The item Code is YM-A011, A012, A013. And other connected items like Cnnecting tube with Yangker, Anesthesia breathing system, Bacterial/ Viral Filter. Do you have any questions about our Disposable Anesthesia or other requirements? Please do not hesitate to contact with our customer service directly through live chat, telephone or email. We will happy to advise you. Looking for ideal Disposable Anesthesia Mask Manufacturer & supplier ? We have a wide selection at great prices to help you get creative. All the Pvc Anesthesia Mask are quality guaranteed. We are China Origin Factory of Respiration Mask with Air-cushion. If you have any question, please feel free to contact us.